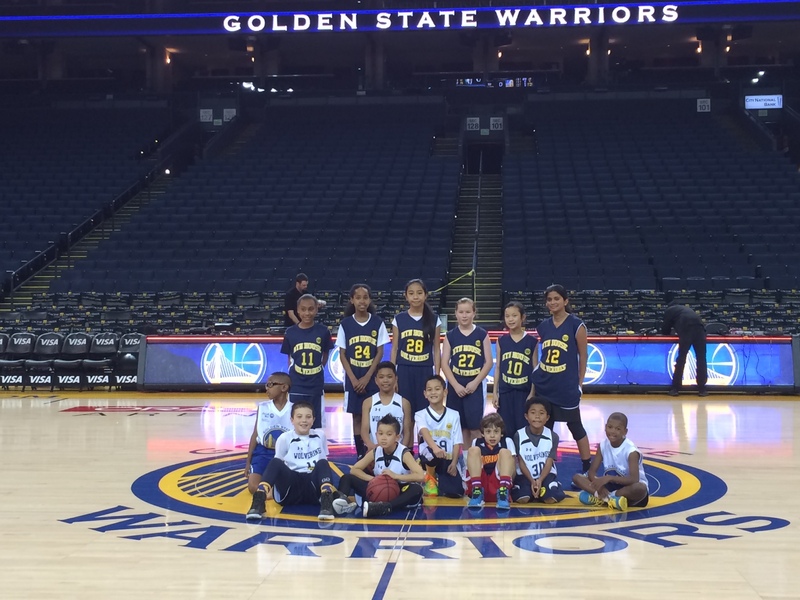 The Wolverines organization spent the day at Oracle Arena on Sunday January 25th when the Golden State Warriors took on the Boston Celtics. 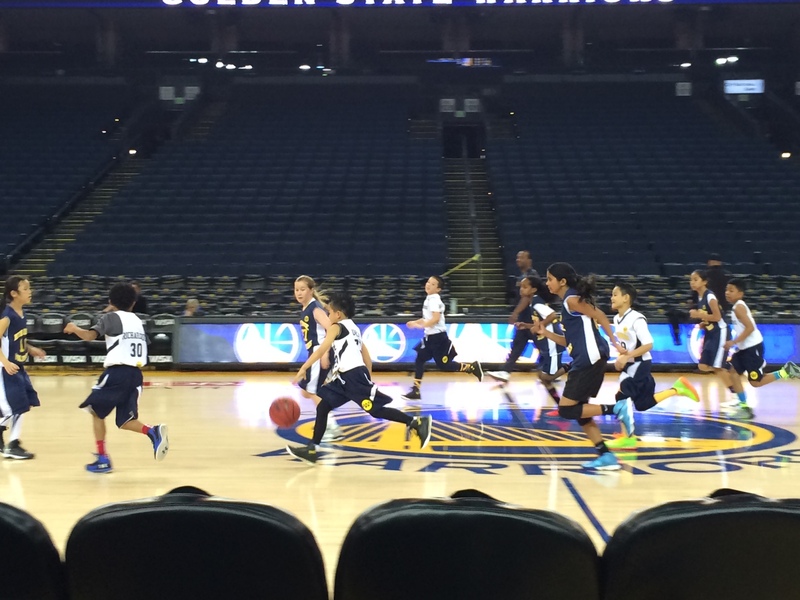 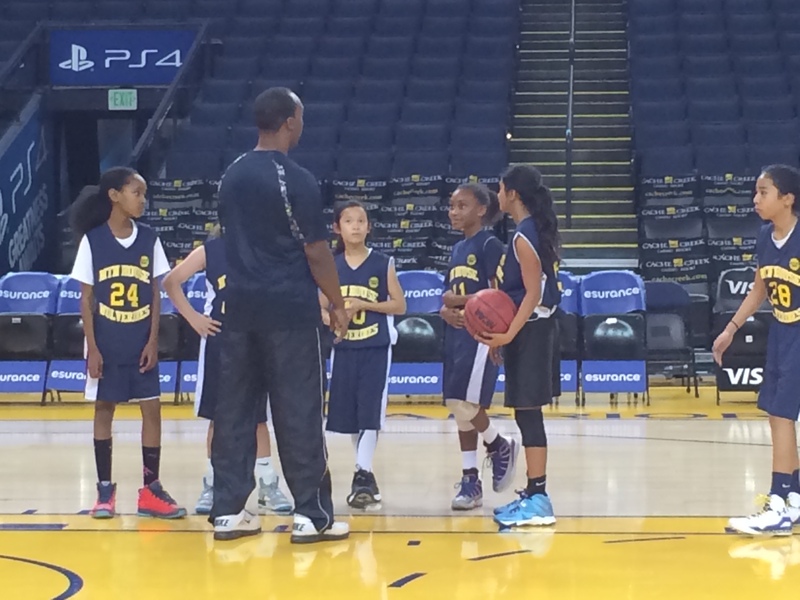 Prior to the NBA tipoff, the 12U Girls, 10U Boys and 11U Boys held a closed practice on the Oracle home floor. 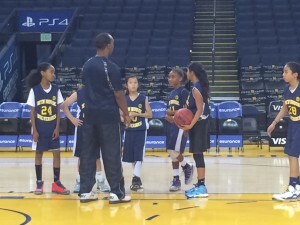 The practice–led by Coach Darryl Gorman–gave our young Wolverines players a chance to feel what it was like to play on the Warriors home floor. A few hours later, kids found themselves standing in front of the likes of Stephen Curry, Klay Thompson and David lee during the national anthem and high-fiving them at halftime. Waiting in the concourse prior to the NBA tip-off, the kids excitement was obvious as they anticipated being in the presence of the NBA icons. 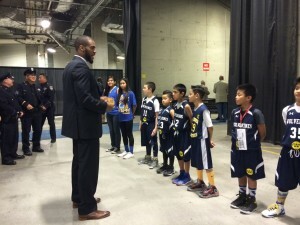 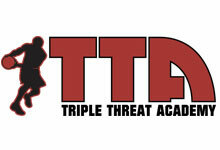 For more information on the Wolverines, click over to http://mhtwolverines.org. 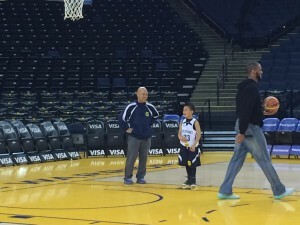 Coach and his son–Noah Ursal–sharing a laugh.